This is not a conventional biography but a study of the development of John Coltrane as a major figure in American musical culture in the two decades of major creativity that embraced his tragically short life. Ben Ratliff bases his study on a combination of interviews and his analyses of the recorded legacy – and he does this in a non-hagiographic manner. Indeed he seems almost over-critical of some of Coltrane’s early performances with Miles Davis, such as the Prestige sessions which were not under his control but part of the contractual obligations that Davis knocked out as quickly as possible (no planning, no rehearsals) in order to fulfil and escape his contract for the more lucrative one he had signed with Columbia. Ratliff takes the story from the early recordings Coltrane made whilst he was still in the navy through his work in rhythm and blues bands to his seminal work with Miles Davis and Thelonius Monk, and then to his own quartet which made such an impact with Giant Steps – which turns out to be in this account the ne plus ultra of harmonically-based jazz music. Ratliff is very good at explaining just why Coltrane’s music was so exceptional – his profound sense of musical structure, his grasp of harmonic sequences, his compositional imagination, and his ability to completely transform musical sequences into something nobody had ever heard before. Think of how he re-shaped a banal show tune such as My Favourite Things into a thundering anthem of black cultural affirmation. There’s quite a bit of musical theorizing, and the weakness of basing judgements on interviews is that asking any artists what they think they are doing is that first of all they might not know themselves, and even if they say they do, they might not be able to articulate it properly. Their claims might not even be true. Music is an abstract art form. It doesn’t actually mean anything, even though it is a very powerful emotional force. The two common approaches to musical analysis point in opposite directions. The formal approach says ‘Eb7 modulates into C#6’ which might be accurate and true, but tells us nothing about the nature or effect of such transitions. The other essentially romantic approach says ‘the heart-stopping modulations in the final eight bars resolve themselves into a majestic finale which express a surge of joy’. One approach seems dry as dust, the other is just subjective and emotional. Ratliff bravely attempts to combine the two. The late 1950s and early 1960s were the high point in Coltrane’s creative life – and it might be significant that this was a period when he seemed to be free of drug addiction. After that, though Ratliff tries his best to make a case for the discordant, non-harmonic and unstructured music Coltrane produced towards the end of his career, it’s rather uncomfortable reading to be reminded of the descent into chaos that this ‘development’ represents (and I speak as someone who saw some of these concerts on his European tour with Eric Dolphy). In the second part of the book he turns from biography to an essay on Coltrane’s influence on other musicians and a study of the development of his style. Placing this very firmly in a cultural and historical context, he reminds us that many other lesser names were more popular at the time. In the same year that Coltrane released My Favourite Things (30,000 copies sold), Atlantic’s best-selling jazz albumn was Les McCann and Eddie Harris’s Swiss Movement (500,000 copies). There are some excellent gems about the economics of night clubs and how much musicians were paid for their performances. Coltrane’s influence is traced in the work of other jazz musicians, in the music of rock and pop groups, and in the social influence drawn from his music in the writings of jazz critics – most of whom were themselves understandably baffled by the ‘developments’ of the early 1960s onwards. Ratliff doesn’t shirk the fact that Coltrane lost a big percentage of his audience when he embraced the ‘free jazz’ movement which was so obviously both then and now a dead end. It’s also sadly possible that Miles Davis’s claim that Coltrane died from taking too much LSD might be true. In fact the loss occurred at a time when the material ground in which jazz took root began to disappear. Night clubs, jazz clubs, and dance halls closed as popular culture in America changed in the late 1960s, and most jazz musicians found themselves out of work. Superstars made occasional rock-concert-like appearances, but many regular musicians either took up teaching or went back to jobs in the factory. 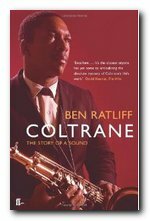 What makes this study much more than a conventional biography or appreciation is that Ben Ratliff takes his subject even beyond Coltrane’s death to examine both the continuation of his influence and the state of jazz in the last few decades. The prospects are fairly bleak, but he sees a small glimmer of hope in Coltrane’s influence as a successful leader of bands. Let’s hope it turns out to be the classic quartet or quintet at most – and not the noisy conglomerates in which he finished his career. 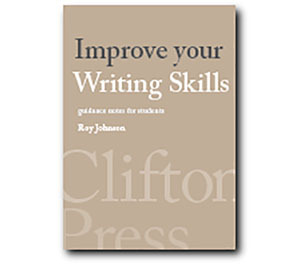 There’s an excellent bibliography to the book, and a full range of notes on all his sources, but no discography. However, he does make reference to a work in progress which has since been issued as surely the most authoritative account of Coltrane’s recorded work – Yasuhiro Fujioka and Lewis Porter’s monumental The John Coltrane Reference Work.